Someone I care about has a drug problem, how can I help? I need information because someone I care about has a drug problem. I am concerned because i am not sure how to help him? He's been in and out of hospital. What can I do in order to help him? Comments for Someone I care about has a drug problem, how can I help? You can learn about addiction by working the 12 steps. The best way to help your friend is for you to learn as much as you can about addiction and how to support him WITHOUT enabling the addiction in any way. Al-anon is an excellent organization that offers support for the loved ones of an addict. If possible begin going to Al-anon meetings and working the 12 step program. The 12 steps teach us about addiction and help addicts to understand and end their dependence on drugs. 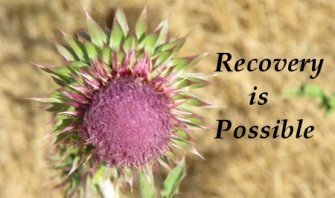 Also, try to get a sponsor in Al-anon who has been where you're at now and helped someone to successfully end their addiction. Finally, try to get your friend to begin attending meetings with you and to begin working the 12 steps DAILY. Drug addiction attacks the brain and the spirit and the 12 step program will help your friend to get back in touch with who they truly are without all of the negative effects caused by their addiction.